A lumbar epidural steroid injection is a procedure where drugs called steroids are injected into a space in the lumbar spine (called epidural space) in order to treat painful conditions such as irritation of the spinal nerve from neighboring tissues and disc prolapse. Steroids are used as they possess powerful anti-inflammatory properties and are excellent painkillers. Within the vertebra of the back lies the spinal-cord from which arise numerous nerves. Sometimes, the structures within the vertebra such as the bone or intervertebral cartilage can impinge on these nerves irritating them. 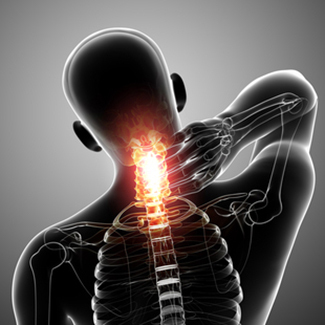 This can cause inflammation of the nerve fibers and subsequent pain. A lumbar epidural steroid injection is aimed at reducing inflammation and relieving the pain. When is Lumbar Epidural Steroid Injection Indicated? The common conditions that require a lumbar epidural steroid injection include lumbar radiculopathy and spinal nerve root compression. Sciatica is another common indication. Degeneration of the lumbar intervertebral discs and stenosis of the spine are other indications. The procedure should be avoided in the presence of infection, if the patient is pregnant or if the patient is on medications that thin the blood (this medication can be stopped a few days prior to the procedure). The procedure is fairly straightforward. Once the area where the injection needs to be administered has been identified, the skin over the surface of it is cleaned with antiseptic solution. The patient is placed in a face down position with a cushion placed under the abdomen. This opens the spine and allows for easier access to the spinal-cord through the epidural space. A small amount of local anaesthetic is injected into the skin to numb it. Patients may be given a small dose of sedative to reduce anxiety if required. Under the guidance of a fluoroscope (a type of x-ray machine), a needle is inserted through the skin all the way up to the area of the spinal-cord where the steroid needs to be administered. This usually lies between vertebras L4-L5. During injection, patients may feel a slight pressure in their lower back but this passes after the conclusion of the procedure. After the procedure, the needle is removed and the area is cleaned and dressed. Patients may require a period of rehabilitation to help them regain full mobility. The main benefit is that the steroid can be injected directly into the area that is inflamed and causing pain. No damage is done to the neighboring tissues. This clearly has advantages over oral steroids and other analgesic drugs. The steroid acts locally and gets rid of any pro-inflammatory products at the site. The risks of this procedure are rare and can include mild bruising at the site of injection. Patients do not necessarily obtain long-term relief and may require repeat procedures in the future. Nerve damage is a rare. Sometimes, the dura mater that surrounds the spinal-cord may get punctured and this can cause headache. The side-effects are just a handful and include mild flushing of the face, a short lived increase in pain at the site of injection, difficulty sleeping and fever. They settle down very quickly.